Valentine's Day is around the corner! It also happens to be my husband's birthday. 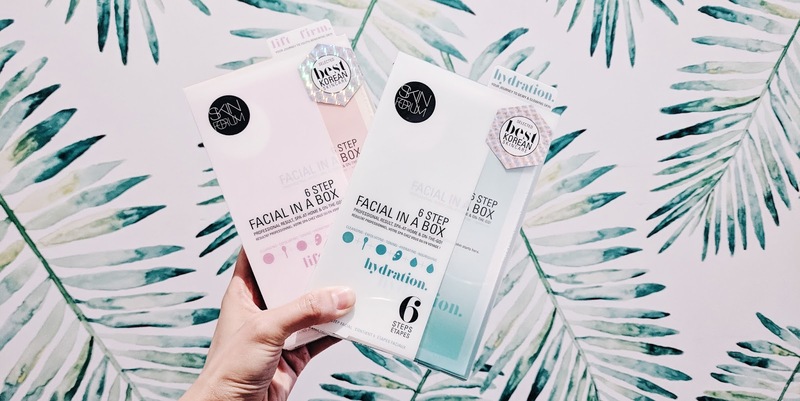 To help us celebrate, the folks at Skin Forum kindly gifted us two of their signature facial-in-a-box kits. 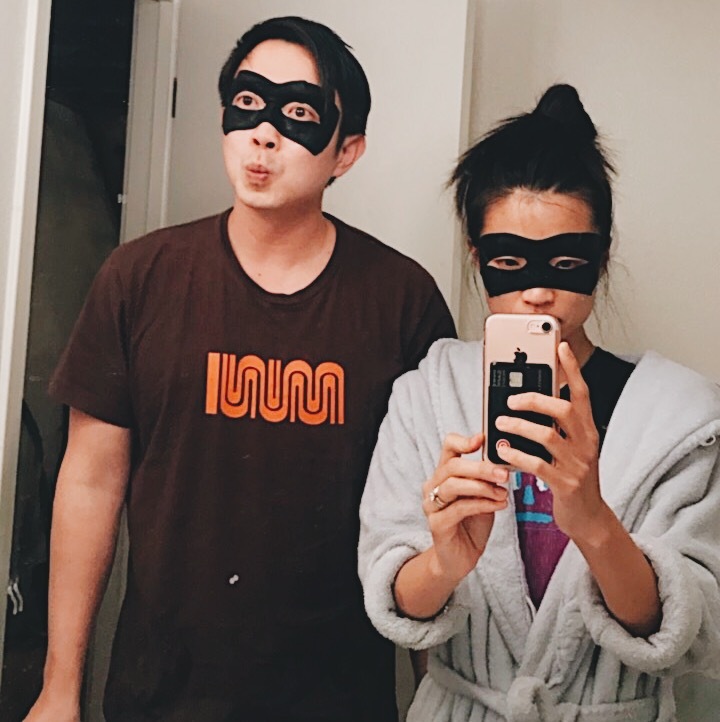 Read on to see how we masked as a couple, and for the backstory on how we discovered Korean skincare! My husband Marshall is one of those lucky people whose skin is always smooth even when he doesn't do *anything* to take care of it. 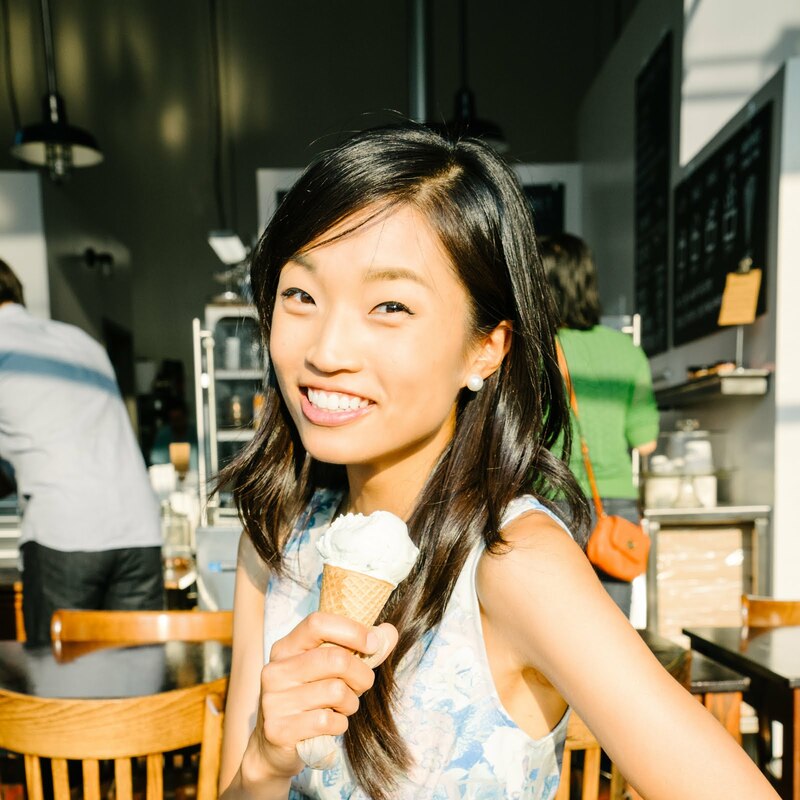 I'm the opposite: my skin is super acne-prone, sensitive, and high-maintenance. Any variable (whether it's a new product, climate, diet, what have you) can make or break my complexion. He started dating me when I was battling the worst bout of cystic acne of my life - I felt like a frog who'd found her prince. Three rounds of Accutane later, my skin's better today than it was back then, and Marshall's been there for me throughout the entire emotional rollercoaster. I feel so fortunate to call him my husband! Though Marshall doesn't ruminate over his skin (he's never needed to! ), he was wowed by all the flawless skin he saw on the streets of Seoul when we visited in 2015. So we popped into an Olive Young (Korea's version of Ulta - there's one on almost every major intersection in Seoul), and a sales rep helped him craft his first skincare regimen: a cleanser, toner, moisturizer, and sunscreen. The addition of these Korean products has made his skin even smoother and softer than it already was. He still uses the same products today! 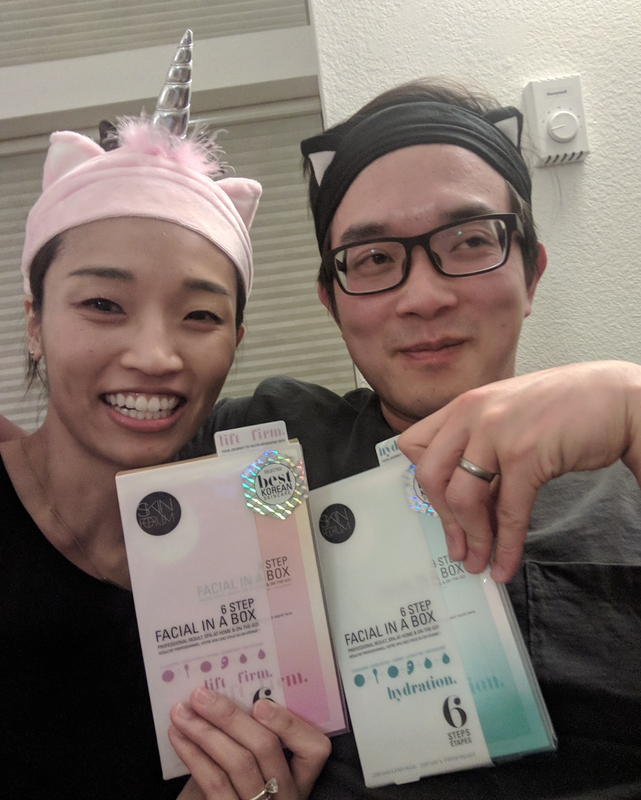 We tried the Skin Forum 6-step Facial in a Box on the evening of the Super Bowl (neither of us are into football - we watched "The Office" reruns on Netflix instead). He used the "Hydrating" facial and I tried the "Lift & Firm" facial. I know he looks like he's "over it" in the photo below, but I swear he was ok with our chill evening of self-care! Magic cleansing cloth: three cleansing wipes get rid of debris and makeup. Gentle exfoliating swab: giant black cotton swab soaked with alpha and beta hydroxy acids polishes away dullness. Advanced soothing toner: white cotton pad soaked with nutritious extracts balances the pH level of skin. 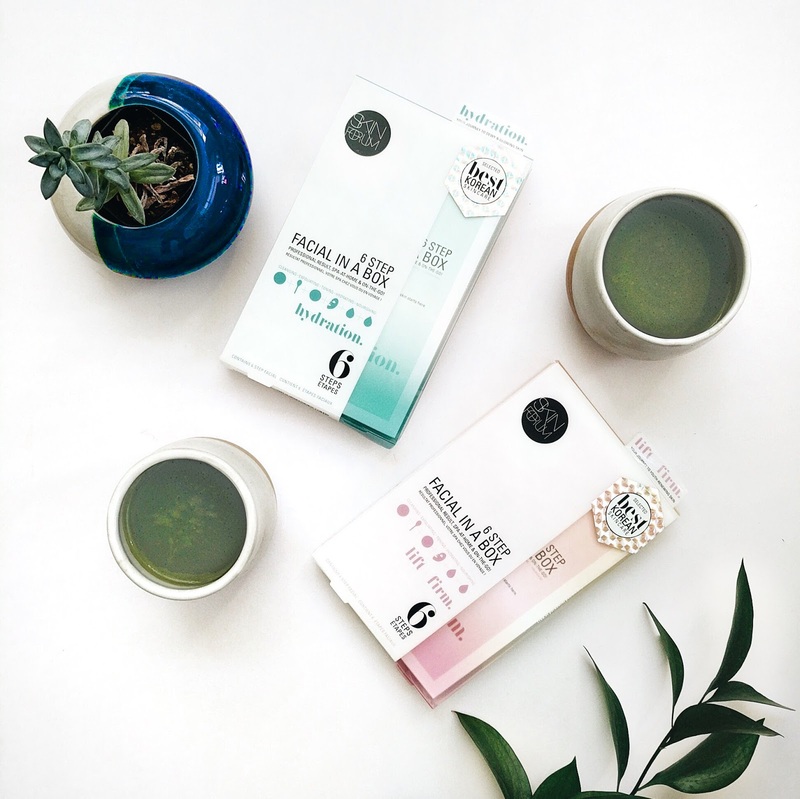 Sheet mask: delivers higher absorption of nutrients in a shorter amount of time, according to New York City aesthetician Jordana Mattioli. Super serum: vitamin-rich serum enhances the hydration from the sheet mask. Repairing cream: seals in the facial's effects for all-night hydration and protection. The illustrated instructions for each step in the fold-out brochure (the products were nestled within the brochure alongside the corresponding illustration). Compact, easy to store, and easy to use, with spa-facial-like effects (no appointment required). The products smelled nice but not overpowering. The hydration sheet mask smelled like vanilla while the lift and firm sheet mask smelled like roses. All products are free of parabens, synthetic colors, petroleum, mineral oil, chemical sulfates, phthalates. Skin-health friendly pH levels in all products (see below for pH details). Our skin felt softer afterwards. Some of the steps (the exfoliating swab in particular) felt a little tingly - not uncomfortable, but if I had any open wounds on my face, it would have stung. I would prefer a more thorough double-cleanse step rather than a mere cleansing wipe - I felt like there was still residue on my face after wiping. The "Lift and Firm" facial gave me a little breakout on my chin and my left cheek. The skin *around* the pimples was divinely soft (almost as soft as Marshall's skin)! But still...pimples. It might be because of the castor oil and citrus oils in the toner - still not sure if these oils help or hurt my acne-prone skin. To be fair, this happens every time I get a facial, too. My skin post-breakout, though, is glowing and clear, so I chalk up the initial breakout to the "purging" stage of a new skincare trial. Now let's do a breakdown of the ingredients, and the differences between the "Hydrating" and "Lift and Firm" formulas. 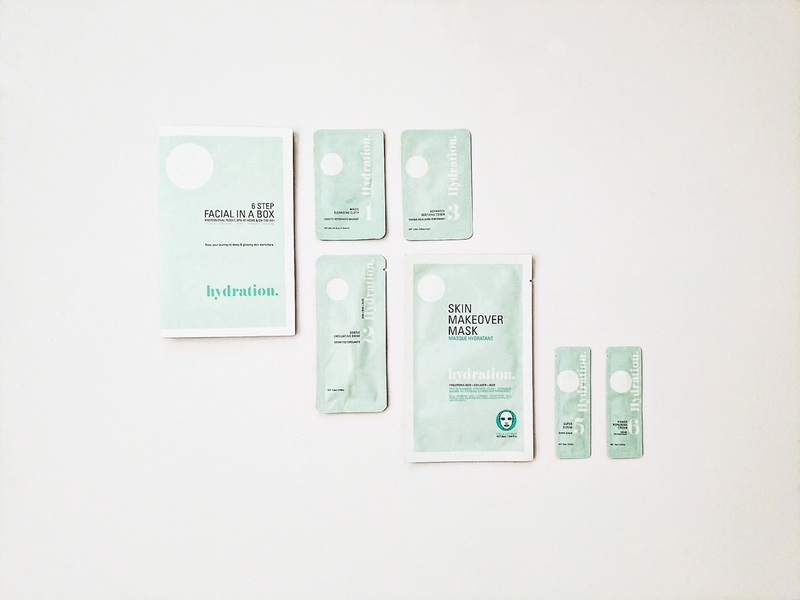 For step 4 (the sheet mask), the ingredient lists were different between the two facial varieties (finally!). For step 5 (super serum) the ingredient list is exactly the same except the pink one (Lift and Firm) includes palmitoyl pentapeptei-4, Glycerin, and Butylene glycol. Shared ingredients include castor oil, allantoin, arginine. Shared ingredients include arginine and carbomer. The low pH values (note that the ideal pH of skin mantle is 5.5 - so low pH aka on the acidic side) made this set very hydrating and softening. Not sure if it had much lifting or firming action. As I mentioned above, even though my skin was softer, I did have a few breakouts on my chin and cheek after trying this facial - the skin *around* the pimples was super soft though! I may have experienced a small breakout afterwards, but I still loved trying these facials with my husband. We wiped our faces, patted on serums and toners, slapped on masks, and moisturized our hearts out, all while relaxing on the couch in front of the TV. So much less fussy than having to schedule and book a couple's facial! 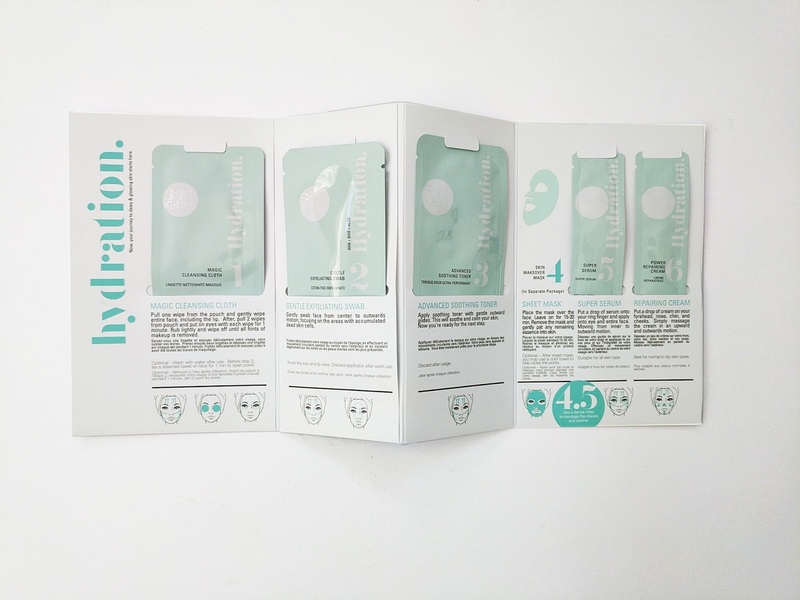 We loved the illustrated instructions provided in the fold-out brochure in which the products were nestled and helping each other with our sheet masks. It's the mundane moments like these that bring us even closer. You can score a facial-in-a-box for yourself at theskinforum.com ($20 per month for one kit; $50 per month for three kits). Happy Valentine's Day, and happy masking!